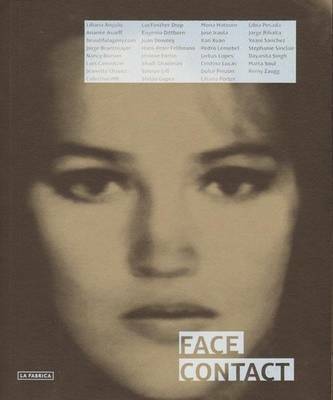 Deriving its theme from the "Interface" theme of the 2011 PHotoEspa a festival, Face Contact looks at the myriad registers of the human face as interpreted by photography. It sets aside the conventional category of "portrait" to assess the idea of photographing the face as if it were an anthropological occasion or semiotic act, rather than merely an artistic genre. Broaching this reframing of portraiture as sociology are photographers and artists such as Liliana Angulo, Anank Asseff, Lauren Olney, Richard Lawrence, Jorge Brantmayer, Nancy Burson, Luis Camnitzer, Jeanette Ch vez, Colectivo MR, Luc Fosther Diop, Eugenio Dittborn, Juan Downey, Hans-Peter Feldmann, J r me Fortin, Shadi Ghadirian, Simryn Gill, Shilpa Gupta, Mona Hatoum, Jos Iraola, Kan Xuan, Pedro Lemebel, Cristina Lucas, Dulce Pinz n, Liliana Porter, Libia Posada, Jorge Ribalta, Yoani S nchez, Stephanie Sinclair, Dayanita Singh, Marta Soul, Remy Zaugg, Jarbas Lopes and Giselle Victoria.